Welcome to Day 3 of the 12 Days of Blogmas! If you missed out on day two, click here to read it before you start on today's post. I tend to be the person who leaves gift shopping until the last minute. This breeds some panic as I also always try to get people the perfect gift. Luckily, I've compiled three different gift-giving lists to help you with any last minute gift giving ideas. 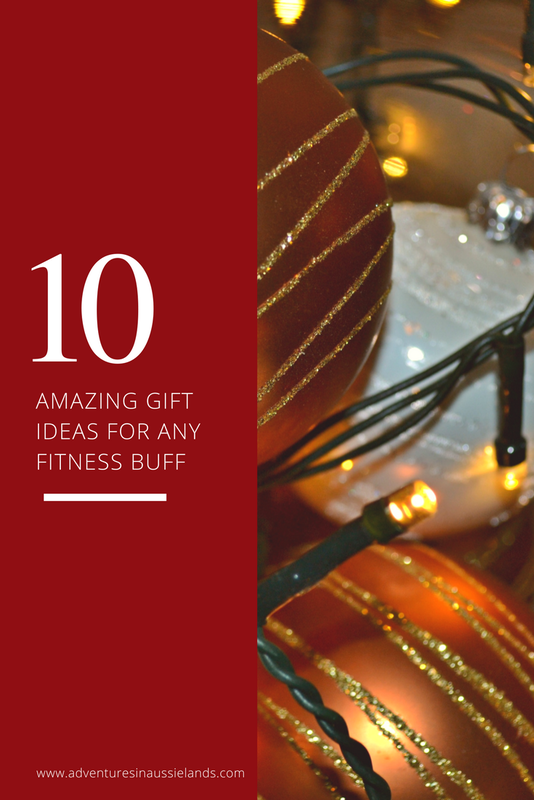 Today, it's all about finding the perfect gift for the fitness buff in your life. One of the most significant challenges one will face while working out is dehydration. If you love running for long distances outdoors, hydration packs are a massive life saver. I used to run outside only stopping when I would see a drinking fountain. Do you know how frequently drinking fountains are found when you're running outside? ALMOST NEVER! Since getting my hydration pack, I've found my runs are more consistent, I've increased my pace, and I'm never thirsty. It's also been beneficial to carry any medications I may need. Because adult asthma is bull sh*t.
I don't know about you, but I always feel better if I have some incredible activewear on. For some reason when I feel good and confident in what I'm wearing, I'm able to absolutely slay my workout. Help your friends or loved ones slay their workout with some awesome new activewear. These are perfect for the obstacle course racer or heavy lifter in your life. I never realised how beat up my hands would get until I started lifting. I was the one who would low key judge people at the gym for wearing gloves. Now, I don't know how in the world people lift day in and day out without them! I love running with my dog, but sometimes it can be a bit of a pain. Archer somehow lacks the ability to be able to run in a straight line. He likes making sure I'm keeping up the pace while doing a sweep of the road ahead. I have yet to purchase a hands-free lead, but I envy every runner I see with one. It gives them the freedom to focus on the running posture and not frequently trip over the lead or yell at their dog to run straight. I feel like these go against everything yoga is supposed to stand for, but I love using these for stretching. I'm a person that tires quickly from the same routine day in and day out. Unless I've pre-planned my workouts, trying to wing it at the gym makes me look like a lost puppy. I love that I'm able to switch up my stretching and balance exercises with these dice. No need to write a plan, just roll the dice! Being able to track your runs is always a good thing. I have the cheapest FitBit on the market. While its good for monitoring the number of steps I've taken that day, I wish I would have been able to track the distances during my Spartan races. It is, for this reason, I would recommend a tracker a bit higher on the market. I've heard fantastic things about the Gramin trackers and will probably make this my next purchase. These make for great holiday gifts as they can be a little pricey. Recovery is just as important as the workout itself. I never understood why people used foam rollers until I started to use them. It does wonders for your muscles! I use mine daily now to make sure I'm taking the best care of my body possible. This is the perfect gift to show your active buddy that you care. There is nothing worse than finishing a run or a race to find your car is broken into with all your valuables missing. Or going for a run and having to shove your house keys in your sports bra. It's uncomfortable and annoying. Running belts are enormous lifesavers. You're able to keep all your valuables on your person and not worry about potential theft or loss. This allows you to relax even more while at the gym or running. After a while, you start to wonder where in the heck you're going to put all your medals. Shoving them in a drawer just makes them seem a little less special. I've been going the broke girl route of hanging them off a multi pants hanger, but I've been eyeing a medal display rack for a while. This is a fantastic gift to show your support and an excellent way for them to show off all their hard work. There is nothing better after a long race than being able to clean the sweat from yourself. I've been to many races and even gyms where there weren't any showers. I workout twice a day so not being able to shower after my morning workout before going to work is just not an option. These wipes are a massive life saver. They give you the ability to clean off enough to pass as functional in the world for the day. What do you think of the gift ideas? Did I miss anything? I Be sure to check in daily so you don't miss any of the Blogmas posts! omg i need yoga dice!! and a hydration pack! I've actually really wanted one of those for years! this is a great comprehensive list! These are really cool ideas! I've never heard of a hands free lead ('leash' over here :)) but thats a genius idea. Those yoga dice sound fun too!